While ISIS’ barbarity grabs the attention of the worldwide community, there is little understanding of how complex the situation actually is in Iraq. Persecution and violence is not simply perpetrated by Sunnis against Shias, Yazidis and Christians, as the narrative often goes in the press. In fact, Iraqi mobilization forces have been documented to commit grave human rights abuses as terrible as those committed by ISIS. Many might not even know that there are Christian militias that are operating in theater. A recent report by Middle East Eye documents one such instance in which a militia threatens a whole Sunni village. A leader of an Iraqi Christian militia reportedly threatened last week to “dispose of” Sunni Arab tribes in the northern town of Tel Kayf near the war-ravaged city of Mosul if they did not leave the area, according to the Middle East Monitor (MEMO). Salman Esso Habba of the ‘Christian Mobilisation’ militia, a faction within the mainly Shia Popular Mobilisation Units (PMU), warned the town’s Sunni Arabs to vacate by last Friday, asserting that Tel Kayf’s homes belonged exclusively to Christians, MEMO reported on Wednesday. In his speech Habba is also reported to have said that Christians’ homes and rights would no longer be usurped, which he alleged had occurred following the US-led invasion that ousted former President Saddam Hussein in 2003. Christian communities in Iraq have already distanced themselves from armed Christian militias, recognising that their actions could endanger their fragile peaceful coexistence with Iraq’s other religious communities. In a statement released last year, the Patriarchate of the Chaldean Church stated that they have “no near or far relations with the Babylonian Brigades [a Christian militia] or any other armed Christian factions,” according to MEMO. 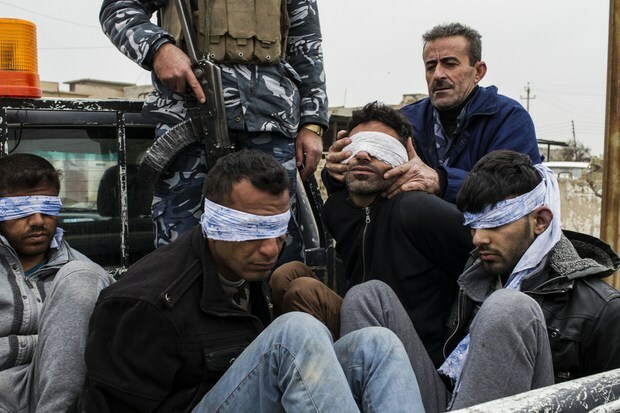 Last month, Amnesty International reported that Iraq’s Popular Mobilisation Units (PMUs) were engaged in a “systematic pattern of violations,” including enforced disappearances, torture and unlawful killings targeting the Sunni community. ISIS, that gift to imperialists that keeps on giving. US invaded, did the divide and conquer thing, inflamed sectarianism intentionally, all the while here in the US Islamophobic politics is propagated to set the stage for more war and terrorism. These militias and their genocidal tendencies will not be reported because it does not fit the neat narrative being packaged and sold to Western publics.